Travelling can really wreck havoc on your skin. From the dryness on board planes, dirty city air, to the cruelty of the sun, it can be a challenge to come back from your holidays looking fresh and rested. But at the same time, luggage restrictions mean I always try to take some products that I can get a lot of use out of. 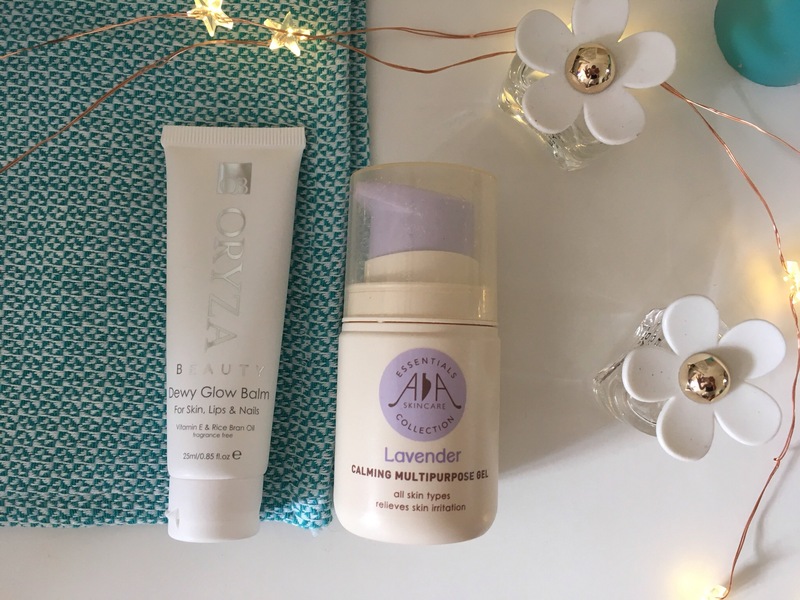 I’ve written about this lavender gel before (I’m obsessed with it), but this AA Skincare product has so many uses and is a must-have for sensitive skin. I’m very prone to irritation when I travel, whether from dry air or the wash powder used on hotel bedding. It’s even great for shaving irritation! Another multipurpose one, although this Oryza Dewy Glow Balm is very new to my collection. Great as a lip balm, bit of highlighter on the cheeks, or on dry cuticles, all major must haves after flying long distances. I have to take items that work hard to save space, and makeup is no exception. Items like Laritzy Cosmetics Dew Pot, a highlighter that can be used on eyelids, cheeks, lips, basically anywhere on your face, make packing easy. Other great picks include Nars The Multiple multi-purpose stick and Benefit Posietint. Sunburns can sometimes be an unavoidable part of holidays, even when we’ve played it safe with plenty of SPF. 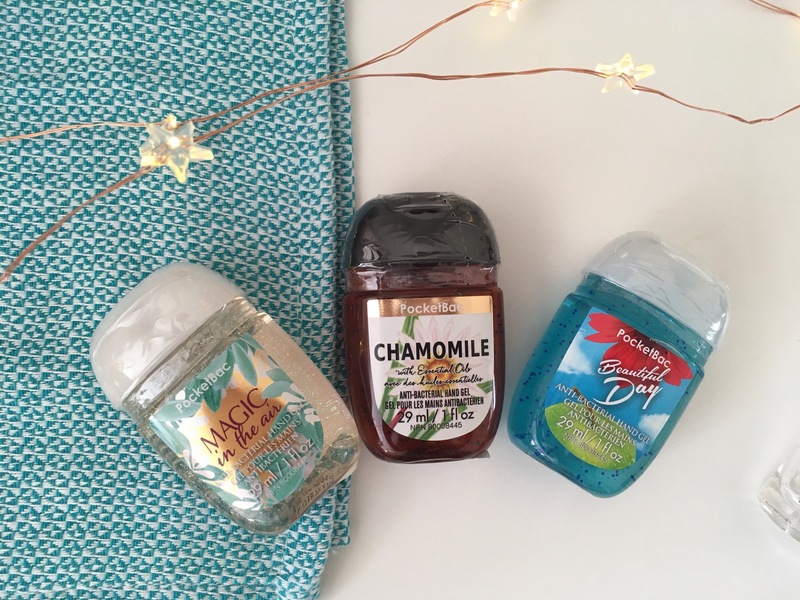 But it’s not just great for sunburns and can be used to soothe many skin irritations and act as a moisturiser that is perfect for sensitive skin. An obvious must-have, but my favourites brands include Burt’s Bees or Dr. Organic. The first thing I do once I’ve settled in my hotel after a long flight is treat myself to a moisturising face mask to undo the damage the dry plane air and lack of rest has wrecked on my skin. Tissue masks work wonders (and don’t count as a liquid). You can either splurge on one such as these from Beautaniq Beauty (£18 for a pack of 5) or save by picking up one like Garnier Moisture Bomb Tissue Mask (£1.99). Yeah, there’s a lot of germs on planes. And public transport. And random toilets. In fact, I never go anywhere without a bottle of hand sanitizer. A nice scented one can also be great for a sneaky freshen up mid-travelling. I’m slightly obsessed with Bath & Body Works Pocketbacs and stock up if I’m in the States because of the amazing scents, but it’s easy to find other brands at places like Boots if your are UK-based. This stuff is a lot like dry shampoo; it adds volume and absorbs grease. But I love the fact that it’s clear, meaning no white powdery build-up! I recommend this one from Oribe. A good exfoliating face scrub is a must when travelling to help get rid of dull skin or any muck you’ve picked up on your journey. 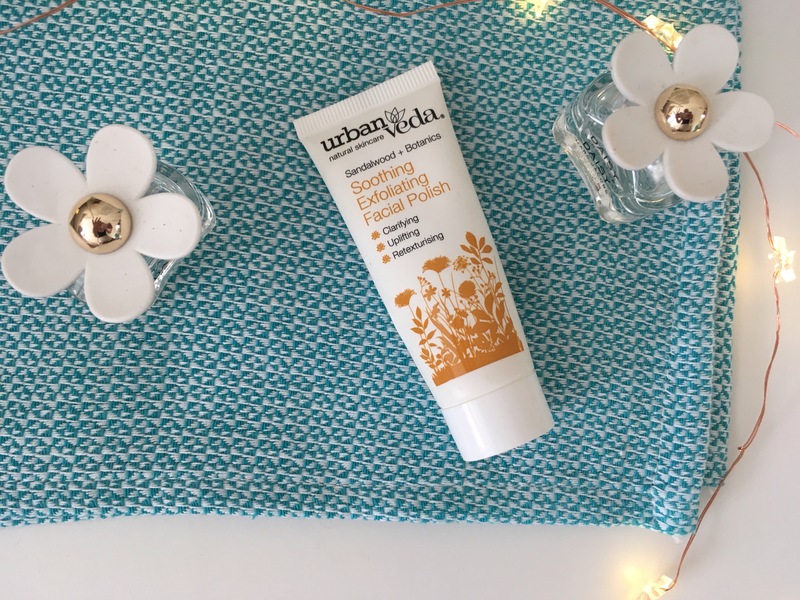 My favourite is Urban Veda Soothing Exfoliating Facial Polish, it’s soothing, moisturising, and leaves you nice and refreshed. So what’s your must-pack beauty products? Let me know in the comments! Sunscreen SPF50+ broad spectrum. I do not go anywhere without it. Cleansing oil, a foam cleanser and a moisturiser. Everything else, I can totally pack without. Great post! I definitely need to try some of these products.